Due to an unwieldy content management system and unoptimized site architecture, Public Storage was rendered invisible to Google and other search engines. 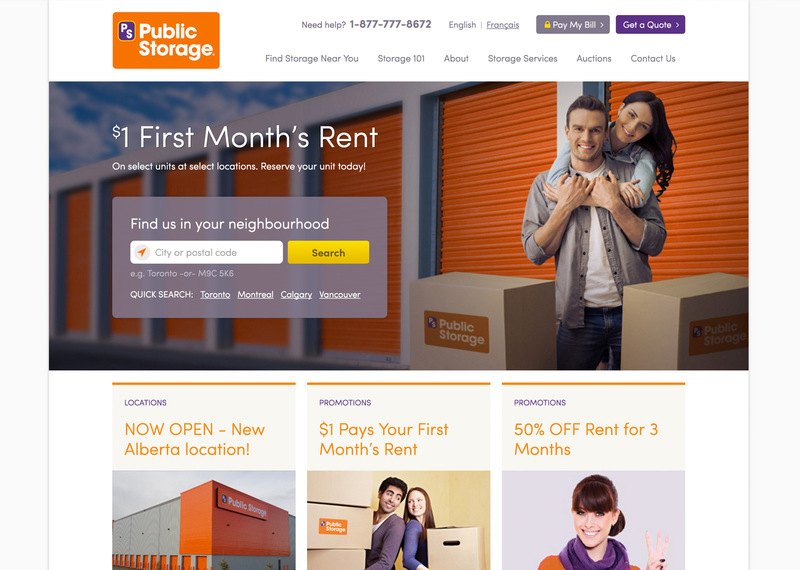 Despite being the world’s largest self-storage company, they had little to no online presence and were at a digital crossroads.The competition was absolutely dominating the digital space, causing Public Storage to potentially miss out on millions of dollars in revenue. Public Storage finally decided enough was enough. They knew they had to act quickly to save their online presence, and that’s when they contacted our team. Together, we formed a massive goal: make Public Storage’s website the #1 digital destination for self-storage solutions. We started our work with our bread and butter, an extensive SEO audit. This allowed us to pinpoint the roots of Public Storage’s many problems, and strategically lay out a plan of action. We knew that our hands would be full. Since Public Storage’s website was invisible to search engines, we intelligently re-constructed it and optimized all pages to ensure that search engines would index them. We also solved their content management system woes by implementing WordPress, thus enabling us to make speedy modifications and improvements at a moment’s notice. The comeback had begun. 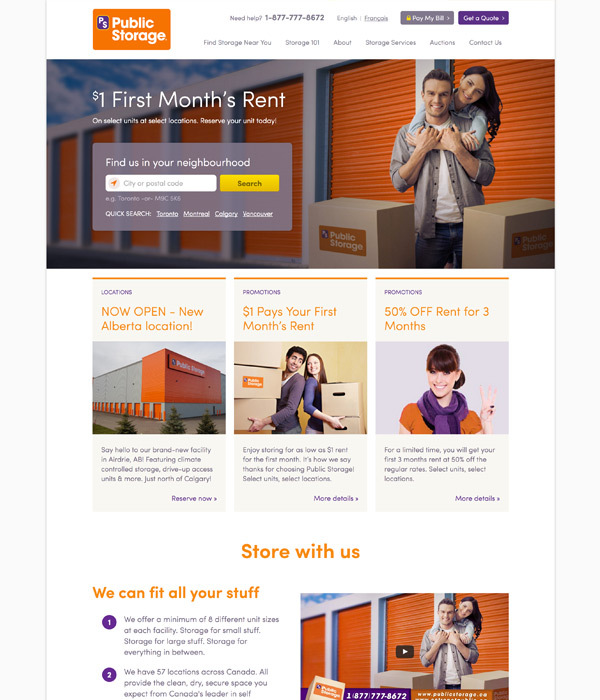 Additionally, we developed and optimized 54 localized landing pages so that prospects from all around the nation could easily discover Public Storage. During this undertaking, we simplified the unit booking process and reduced the number of unnecessary user actions. 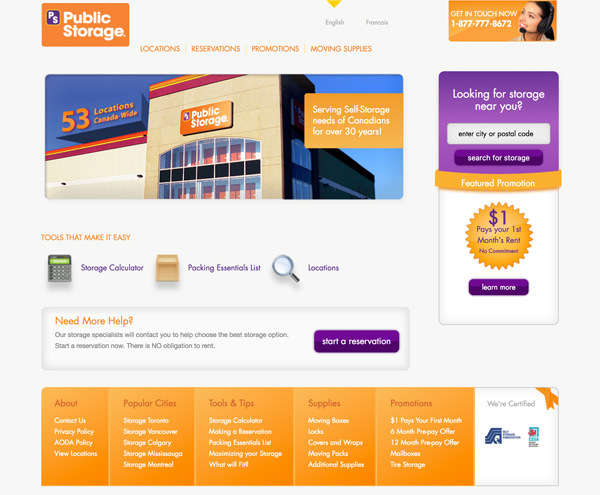 As a result, Public Storage’s traffic went up by 528% and conversion rates increased sixfold. Our team and their team celebrated these huge victories together, but not for a second too long. 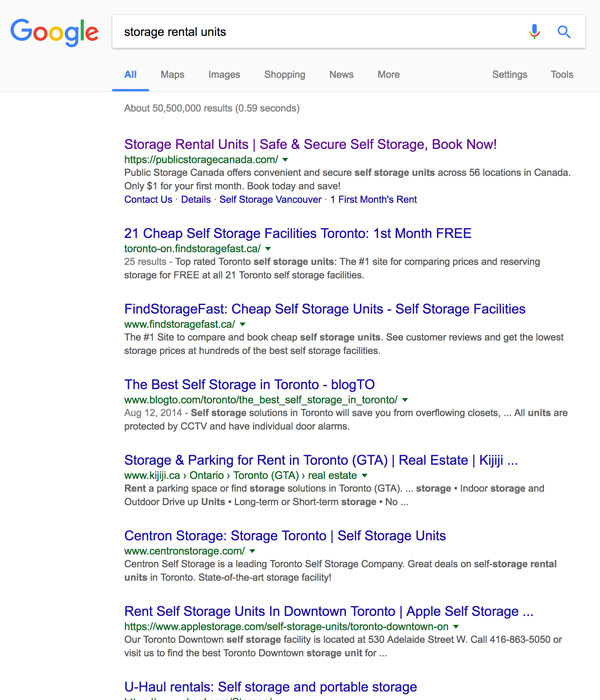 Now that we had gotten Public Storage to the #1 spot for all targeted keywords, the next mission was to keep them there.